Re: Can A Credit Card Heart Monitor Better An Apple Watch 4? Apple today introdused apple watch series redesigned and re engineered are able to detect hard falls and at electrcal heart rate seansor that can take the digital crown know includes haptic feedback oppering a more alert a start a work out while giving retroactive credit and yogaor hicking. Apple watch series 4is more than evakuation is represents a fundamenatl redesgin and re engineering of apple watch. The device includes the next generation chip witha custom 64bit dual core proccessor delevering twice the spend while maintaining the small all day better life. An early Xmas present to myself arrived at Chez Moi last month in the shape of a rather thick credit card. It's not actually a credit card though, and while it's a chunky 6mm wide it is pretty smart truth be told. That's because it's a clinically validated cardiac diagnostic device, a heart monitor to you and me, called a WIWE. Once I got myself over the fact that I cannot stop pronouncing it as a wee wee, I quickly found the WIWE does a whole lot more than your Fitbit or smartwatch can do in terms of monitoring your heart health. 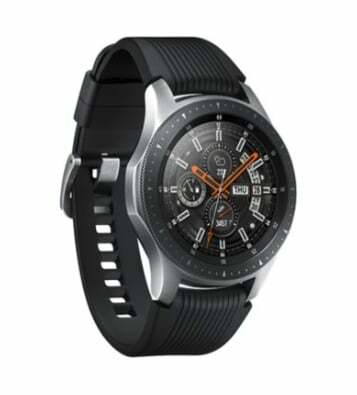 Hi CorinthCom, the Galaxy Watch works with any Android phone (Android 5 upwards), and for that matter the iPhone (iOS 9 on) as well, but to get the best out of it you need to be using a Samsung device. The reason being that the watch runs on the same Tizen OS as the Samsung phones. That said, from what I can gather it's email and messaging that take the biggest hit - as in you can only get these apps on the watch if you are synced to a Samsung phone. You still get the notifications, but would have to go to your phone to access the actual messages. Would you need a Samsung Galaxy phone for this, or will any other Android phone work? My first smartwatch was pretty dumb, to be honest, and put me off the concept for many years to come: a Microsoft Spot. Thanks for the review. My son has one of the Samsung smart watches and I'm not sure which but it may be the 2.0 model. He seems to like it. My first "smart watch" was long ago with the PalmOS powered watch by I recall Fossil. Really appropriate maker given how long ago that was. This beast of a watch required daily without fail charging. 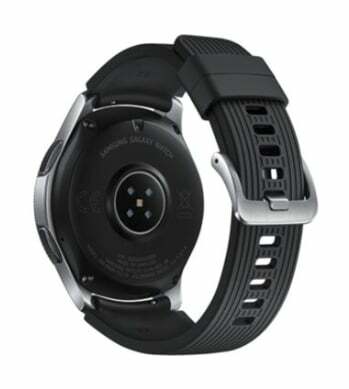 Confession time: I'm a born again smartwatch fan. I used to not see the point, and then somehow managed to buy a Samsung Gear S3 Frontier and everything changed. 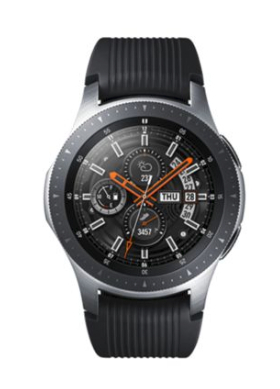 That this thing looked like a watch, had an innovative rotating bezel as an input control mechanism and worked so smoothly with my newly purchased Samsung Galaxy S8+ were the main reasons for that. Having been a very happy smartwatch bunny for the past 18 months or so, I was both interested and annoyed when the next-gen of the Samsung Gear watch family hit the market. I know, I know, there's always going to be something a little better just around the corner and 18 months is a long time in technology. My annoyance was more about the cost, especially as the S3 Frontier wasn't exactly cheap. I am something of a self-confessed Anker hardware fan. I've been using their cables, power supplies and portable chargers for years now. However, I never really thought of Anker in the audio space, until now. 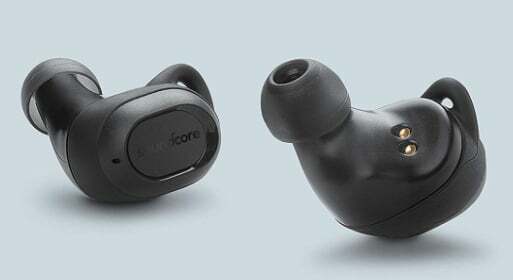 Soundcore is an Anker brand with just audio products out there, as the name suggests. So, I needed some new earphones for my daily multi-mile walks and thought I'd give Soundcore a go. 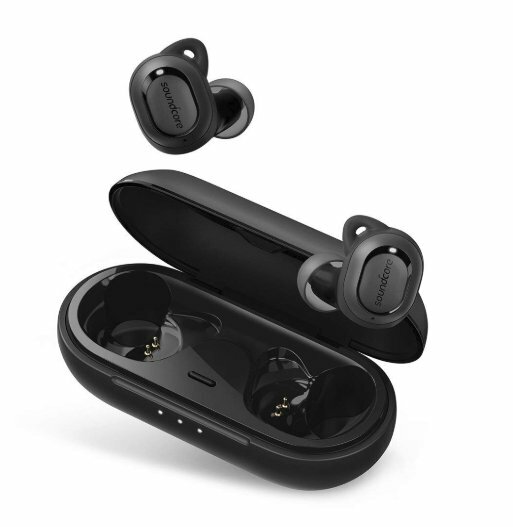 Especially when I saw these 'Liberty Lite' wireless earbuds were so much cheaper than the big brand versions from the likes of Apple, Bose and Samsung. Not that I have an iPhone, I'm currently a Samsung kind of a guy for my sins. Anyway, I took the plunge and as these earbuds have had something of a mixed bag of reviews on Amazon I thought I'd share my experiences with DaniWeb users. Anyone who knows me will happily inform you that I am, as my username implies, rather tech obsessed. I'm not a happy geek when it comes to smartphone cases though, and it's been a long time since I've been able to say I've got the perfect case for my current device. Way back, when I carried an iPhone 5, I swore by my Otter Box for protection. It was bulky, but you could probably drive a tank over it with confidence. The thing is, the iPhone was tiny by comparison to the Samsung Galaxy S8+ that I am using these days. Wrapping this thing up in such a case would be reminiscent of the very start of the mobile revolution: I'd be carrying a brick. Usually a sign of a dead card. There are now numerous pages about this on the web so it's unlikely there is any new ways to get what you didn't backup back short of recovery houses. But do try this in other PCs and especially ones that run Linux. -> Face it folk. We only lose what we don't backup. I've been facing this issue since today, whereby my TwinMOS Micro SD HC Card is not being detected by my Samsung phone, and when placed in the adapter and inserted on PC, again the latter is not detecting it at all, although in the Device Manager I can see my adapter being recognised. I've tried Google, but the supposed methods shown, like using EaseUS Recovery software and others are not working in my case as am not able to see the card as a USB drive. Any other methods to deal with this would be most welcome, as I have all photos and other important files on the Micro SD Card.